The Heritage’s guests enjoy 1, 2, and 3-bedroom Lake George motel and cottage accommodations. These feature modern bathrooms, individually controlled heat & air-conditioning, and more. We boast a beautiful courtyard, adjacent to the heated pool, with a gazebo, picnic tables, grills, chaise lounge chairs, and a shuffleboard court. Kick-back and enjoy our convenient amenities. The Heritage is located in the Heart of beautiful Lake George Village, New York. It's an easy walk to attractions, lake activities, restaurants, shopping, and entertainment. We stayed in one of the adorable cottages. Everything was perfect. Pool was clean and refreshing. All the staff was courteous and accommodating. Rooms were very clean and the bed was comfortable. There was a nice continental breakfast in the morning and we ate out on the front porch of the office. Very relaxing to sit by the firepit in the evening. Would definitely return to The Heritage." We have stayed at this resort several times. The owners and staff make you feel like part of the family. It is within walking distance of great restaurants, shopping and attractions. The Bonfire Pit and shuffleboard make for great family time." We traveled with two other couples on Columbus Day Weekend and there isn't anything more we could have asked for. The staff is more than friendly and would go out of their way to assist you. The rooms are lovely. We stayed in a cottage (105) with a king bed which was very comfortable. This hotel is within walking distance to the shops and restaurants making it very convenient and you don't have to worry about parking downtown. Would recommend staying here. I went to the heritage upstate. Amazing pool. Shuffleboarding. Even a breakfast buffet. A small motel in the middle of the great big village. Less pollution because we can walk 3 or 4 to the arcade or dinner. A dollar for the trolley car. It's quiet at night and you get a desk with drawers,a big TV,and a microwave. Two queen size beds to enjoy a quiet night upstate at old lake George. You can even eat hot s'mores and eat marshmallows. Nothing like a tasty snack before bed. Get your phone, and book a vacation today. We stayed overnight at The Heritage over the Labor Day weekend. We stayed in one of the adorable cottages. Everything was perfect. Pool was clean and refreshing. All the staff was courteous and accommodating. Rooms were very clean and the bed was comfortable. There was a nice continental breakfast in the morning and we ate out on the front porch of the office. Very relaxing to sit by the firepit in the evening. Would definitely return to The Heritage. FANTASTIC!! personable staff, annual trip to Saratoga with friends. The Heritage always makes us feel welcome and at home. Clean rooms, fantastic pool, walk to downtown, nice breakfast, good hotel. The fire pit was restocked every day, so much fun. Absolutely a great spot for a long weekend. We have already booked for next year. 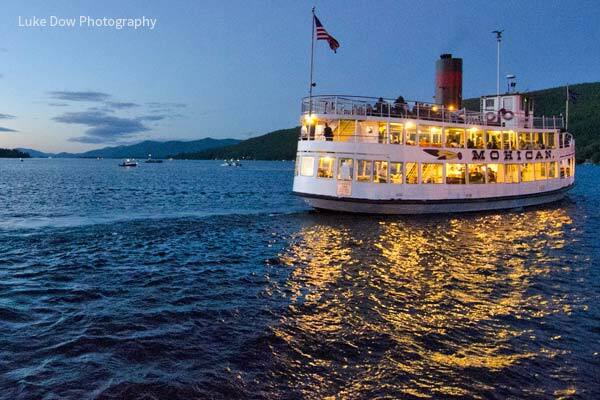 The Heritage of Lake George, located in the Heart of beautiful Lake George Village, New York, is nestled in the spectacular Adirondack Mountains mid-way between Manhattan and Montreal! Whether you want to enjoy a relaxing getaway for two, family vacation, or are celebrating a wedding or family reunion, The Heritage of Lake George offers convenient, smoke-free, immaculate accommodations at reasonable “people pleasing prices.” We make it easy for you to arrange your small or large group stay. We take personal pride and pleasure in seeing to it that everything is taken care of in a way that is pleasing to you. Above all, do come and enjoy our beautiful Lake George area and the surrounding Adirondack Mountains. We’re looking forward to your visit with us and we trust that you’ll enjoy your stay in Lake George. The Heritage – The Tradition for Value & Hospitality, contact us at 1-800-883-2653 to make a reservation!